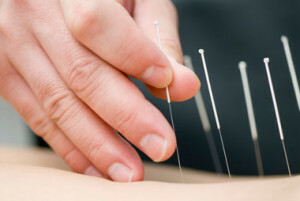 Acupuncture has its origins in ancient China, and its effectiveness as a treatment for many health conditions continues to be researched and validated by modern science. It is based on the idea that “Qi”, often translated as “life energy”, circulates through our bodies in a complex network of pathways, and when we are in good health our Qi is abundant and circulating smoothly. 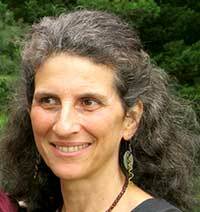 We can understand health problems as a disruption in the flow of our body’s naturally balanced circulation of Qi. Acupuncture points are like keyholes along these energy pathways, through which we can affect the body’s flow of Qi with the insertion of Acupuncture needles. Acupuncture then can serve to open up areas of Qi obstruction, or fortify areas of weakness and redirect the body’s energy to restore balance. Through a review of your detailed health history, as well as other diagnostic tools, I make a diagnosis that aims to understand and explain the connections between your many symptoms, many of which may seem unrelated from a Western Medical perspective. 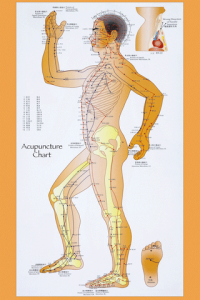 This understanding provides the basis for the choice of acupuncture points, and is also applied to the choice of Chinese herbal medicine formulas, should that be part of the treatment plan as well. Acupuncture needles are as fine as a shaft of hair. Unlike needles used for injections or blood tests, they are not conducting fluid into or out of your body, and therefore feel nothing like these other procedures. Most patients report pleasant surprise at the absence or mildness of sensation they feel with Acupuncture needles. I use sterile, disposable, stainless steel needles and insure that each patient is comfortable and relaxed after the needles are in place. 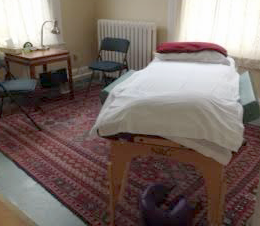 Most patients experience a deep feeling of rest and relaxation during and after their treatments.